Fast forward to 2018, and it’s officially shuttered on May 25 (is it a coincidence that it’s on the same day that the EU GDPR policy went into effect?). Do we go back to the vanity metrics that aren’t an accurate gauge of influence, or will someone else step in to fill the shoes to help keep ‘score’ (pun intended)? Looks like someone has chosen to step in to fill the void, and it’s nicely named Skorr. Though Klout could allow you to connect other networks to influence your score (Last.fm, Yammer, Foursquare, Flickr, Pinterest, Blogger, and few more), Skorr has started on a steady footing by focusing solely on the major/popular ones: Facebook, Instagram, Twitter, LinkedIn, YouTube, and Tumblr. Klout had started adding support for more, but they never factored into their scoring algorithm until they announced it. Will the team behind Skorr add other networks down the road? That’s up to them but looks like they starting from the core popular networks and they may add more as it progresses. Klout has the added benefit of a web presence so that anyone can see the score, but Skorr is currently kept to the confines of iOS and Android (you could always screenshot and share it). 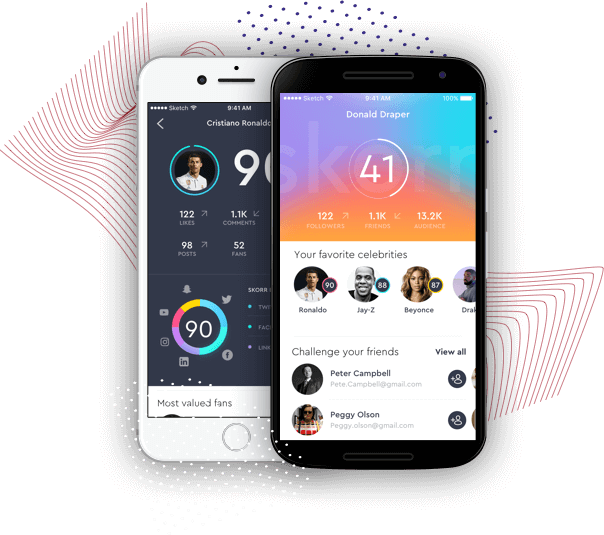 Looks like Skorr is looking to establish itself as a viable and official metric for measuring social influence, which will be a key for rising influencers. Let’s hope they can launch an SEO-friendly web presence for users to easily share their influence Skorr. You can download it from Google Play or the App Store to start calculating your influence score.